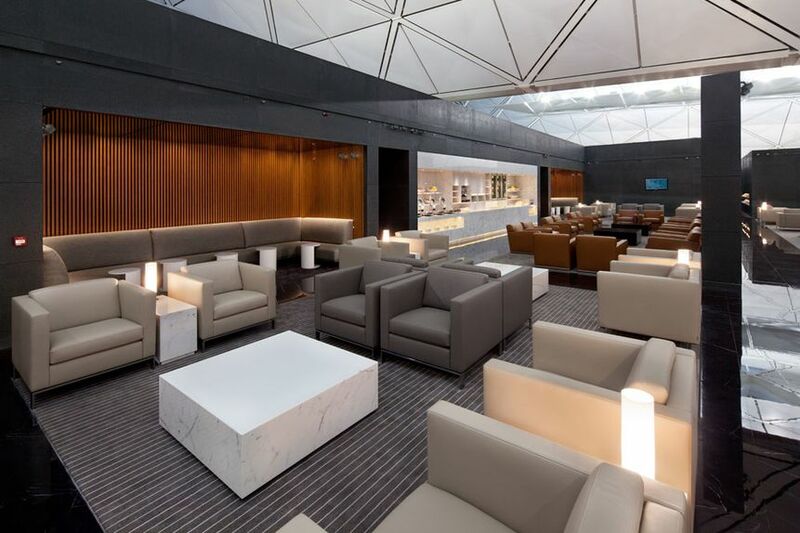 Cathay Pacific's flagship The Wing Business Class lounge at Hong Kong is once again open for business, with the upper Balcony level re-opening today after an extensive overhaul which began in late 2010. 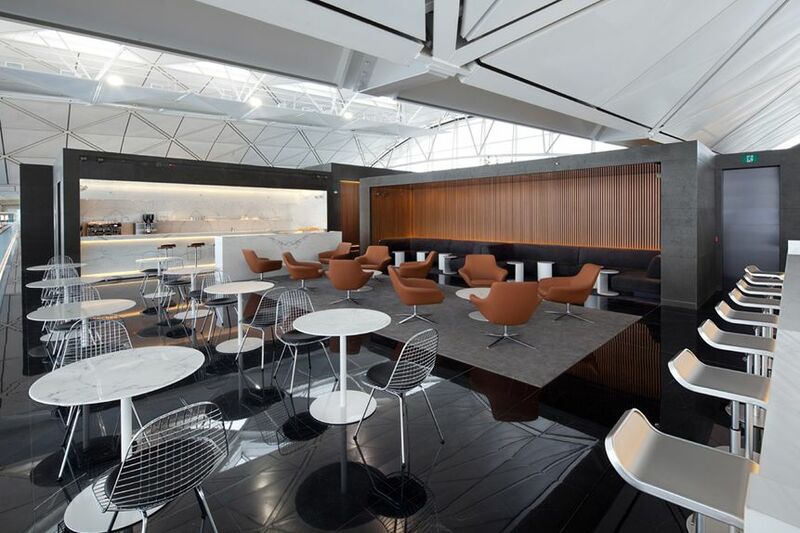 As with the lower level of The Wing Business Lounge, which received its own make-over in April last year, the Balcony level has been redesigned by London-based architectural firm Foster + Partners. 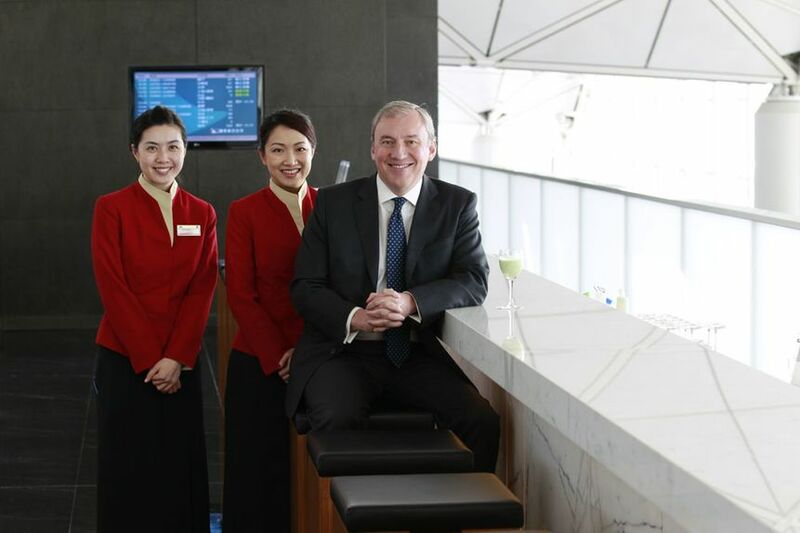 “The refurbishment of The Wing highlights our commitment to offering the highest level of products and services to our valued customers" says Cathay Pacific Director of Service Delivery, Philippe de Gentile-Williams (pictured below in delightful CX company). Business travellers and transit passengers will welcome the return of the Noodle Bar, serving Chinese buns or 'bao' including the popular Char Siu Bao, along with made-to-order hot noodles. The Noodle Bar now sports twice the seating to cope with busy peak hours and has also been relocated from its original enclosed area to a larger open-ceiling space with ample sunlight and natural live bamboo decorations. On both floors of the lounge, self-service buffet counters feature a wide variety of Asian and Western hot dishes along with cold food selections. The iconic Long Bar (which is aptly-named, as it stretches for 23 metres) is also back, redone in white Carrara marble. And of course, it's complemented by several of Cathay's bespoke Solus workstation-pod chairs. New to the mix is The Coffee Loft, where travellers can enjoy freshly brewed coffee or tea and a pastry baked in the lounge's kitchen. Things get even better in the evening, when the space becomes a cocktail bar. Throughout the spacious Balcony Level lounge there's plenty of seating, including the alcove nooks built into the wall (and first seen in The Cabin). 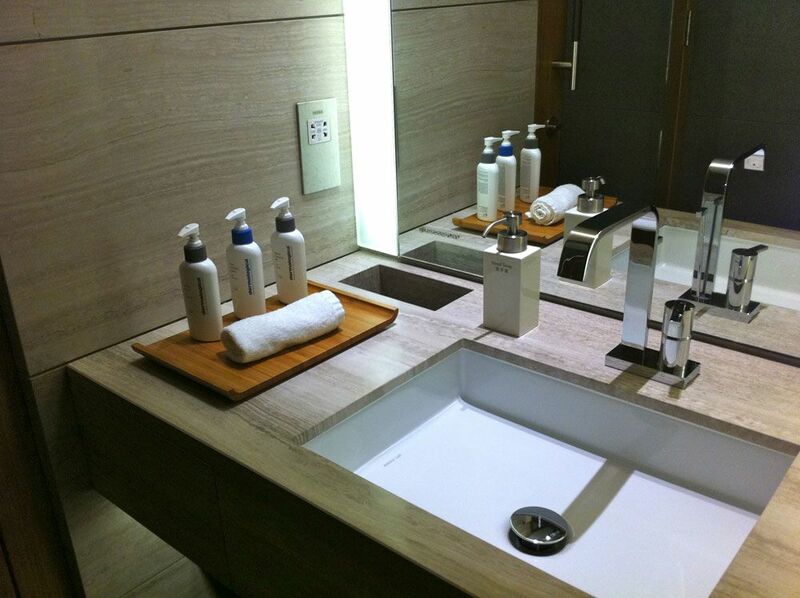 The lower level of The Wing Business Lounge, contains 24 shower suites finished to the same high standard as upstairs. Dermologica amenities are included in the showers and at the basins. 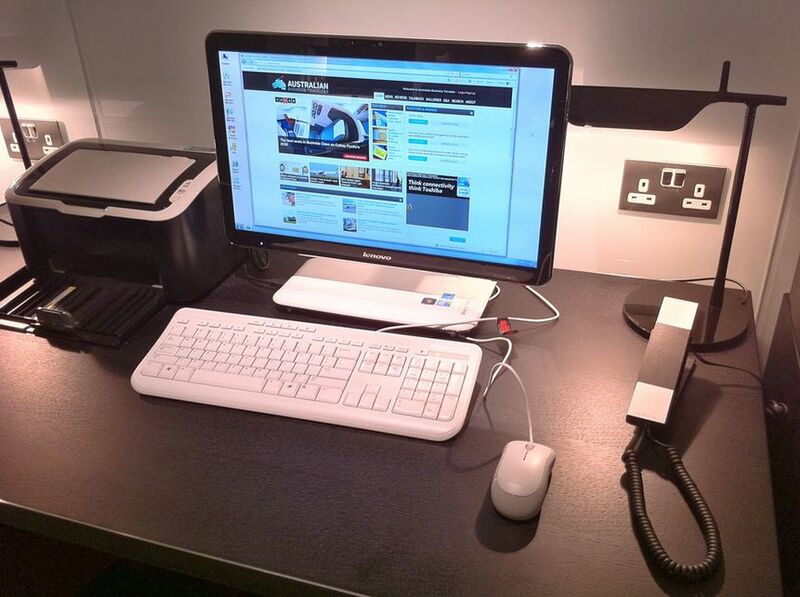 This lower level is also home to dedicated 'IT Zone' with a handful of individual Windows 7 workstations. 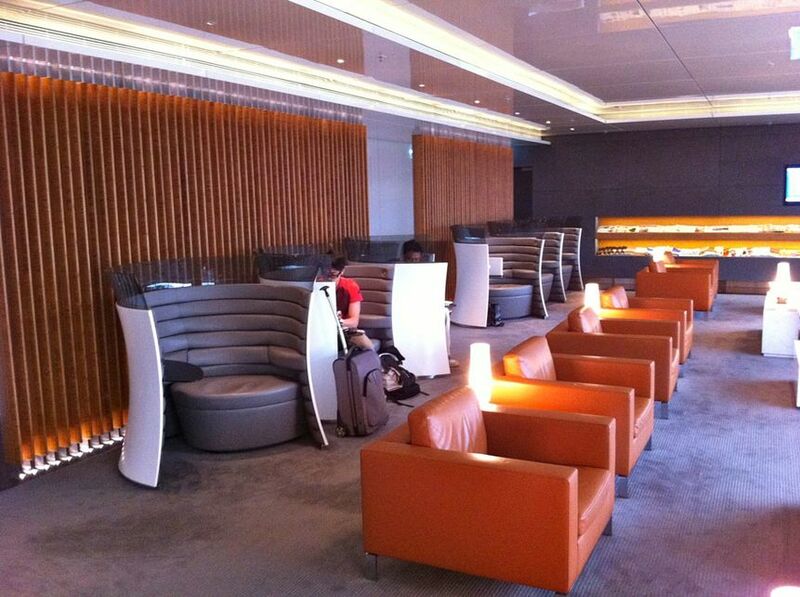 The lower level of The Wing Business Lounge is decked out with its share of Solus pods, plush lounges and designer chairs. 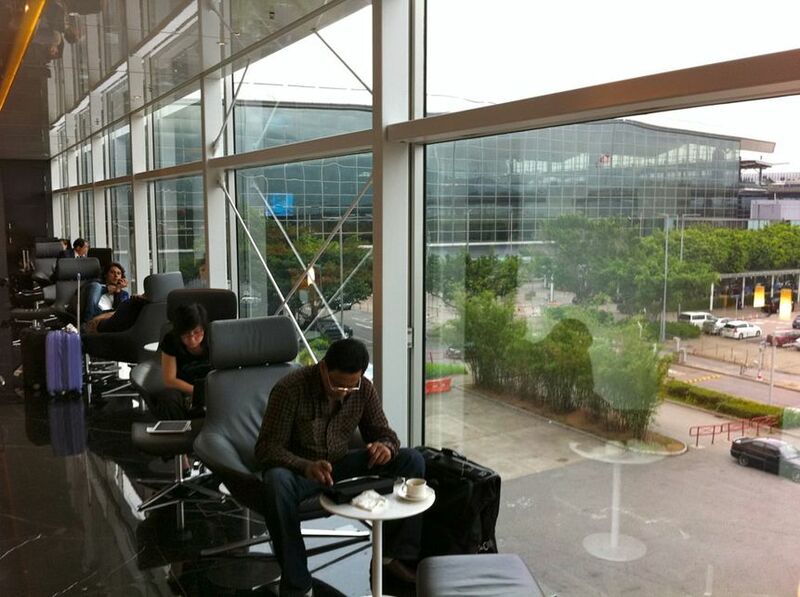 But while the balcony level overlooks the boarding gates and runway, the lower level faces away from all the action. 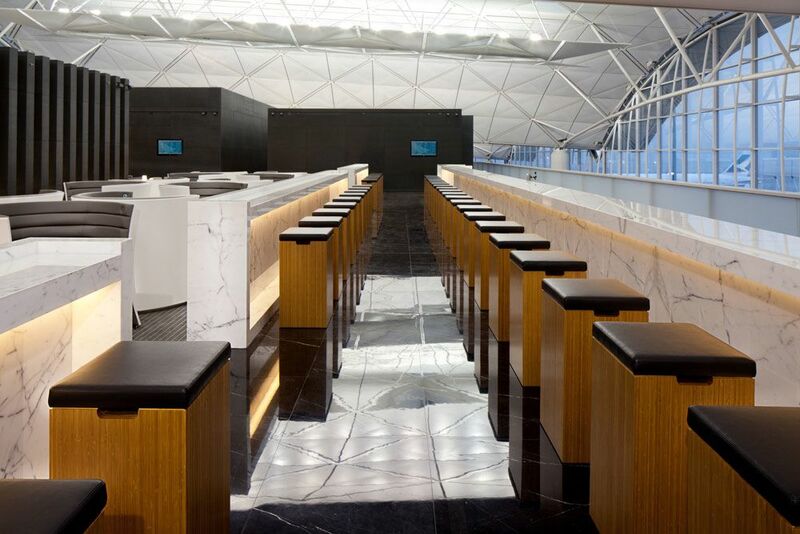 The Wing Business Lounge is open to Cathay First and Business Class passengers and members of oneworld with Sapphire-class status or higher: that includes Silver and above for Cathay’s Marco Polo Club, and Qantas Frequent Flyer Gold or Platinum. Having both levels of The Wing Business Lounge open will alleviate crowding at The Cabin, located further along the central concourse between gates 21 and 23, which has been acting as an overflow while The Wing effectively operated at 50% capacity. In peak periods the lower level lounge was so busy that CX staff standing outside would redirect visitors to The Cabin. Next in line is The Wing First Class Lounge. Cathay Pacific says this will shortly be closed, with work taking most of the year before it re-opens towards the end of 2012. 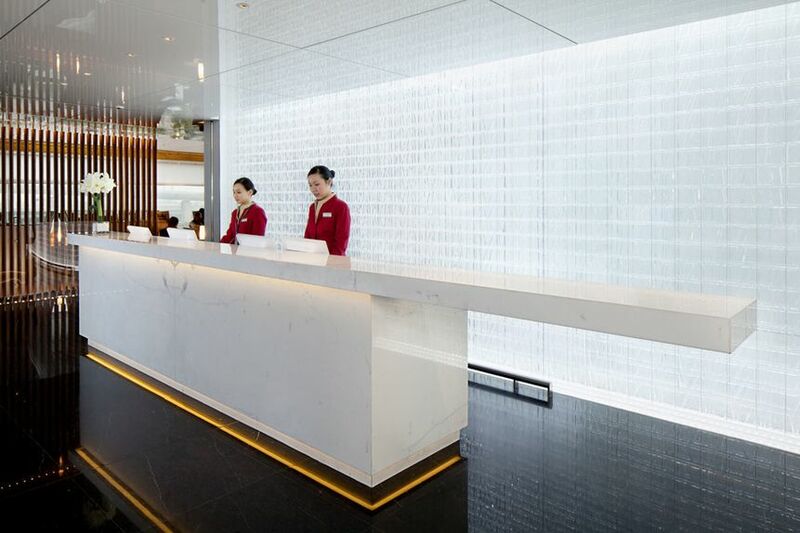 During this period Cathay will rope off the "atrium" section of The WIng Business Lounge for the exclusive use of first class passengers. 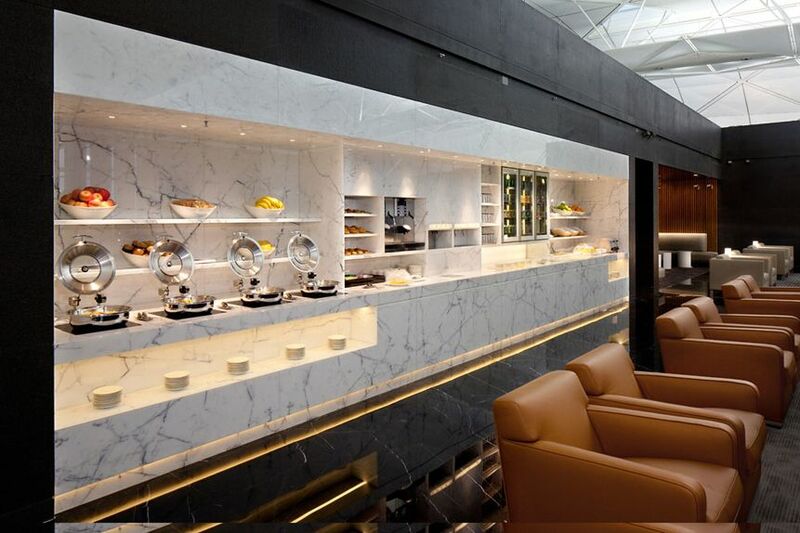 But if you want the full first class treatment you'll need to trek down to the Northern Concourse and the The Pier First Class lounge (near gates 63-67). 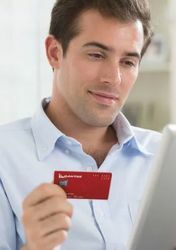 Cathay Pacific will continue swinging into 2012 with the launch of its new Premium Economy class, which CX exec Alex McGowan described to Australian Business Traveller as "an economy plus product, not a ‘business class minus’ product – at least from a philosophical perspective, but not as a product definition." The same roll-out will also see the airline's highly criticised fixed-back international economy seat ditched for a more conventional recliner design. 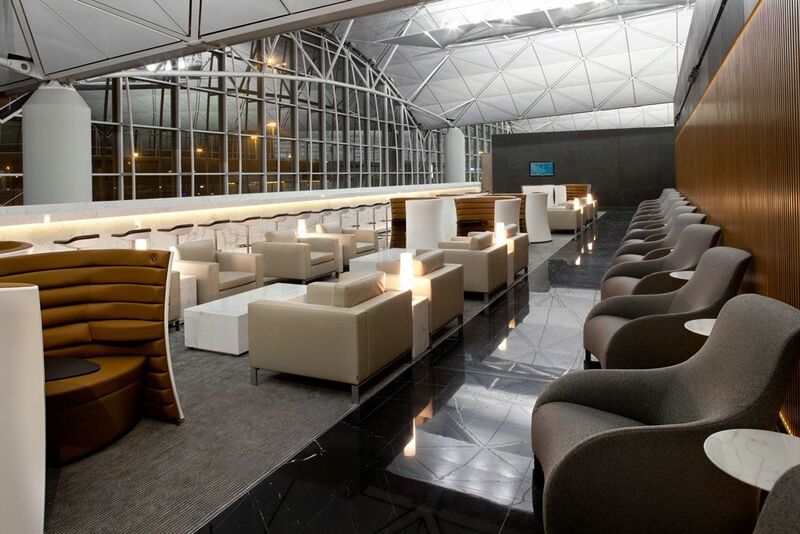 The Hong Kong flag-carrier's new Premium Economy and Economy seats will be introduced on long-haul Airbus A330 and Boeing 777 flights from March 1st 2012 to Sydney, Singapore, New York, Toronto and Vancouver (click here to read our full report). Cathay Pacific will also upgrade selected Boeing 747-400s with the premium economy cabin and redesigned long-haul economy class seat. 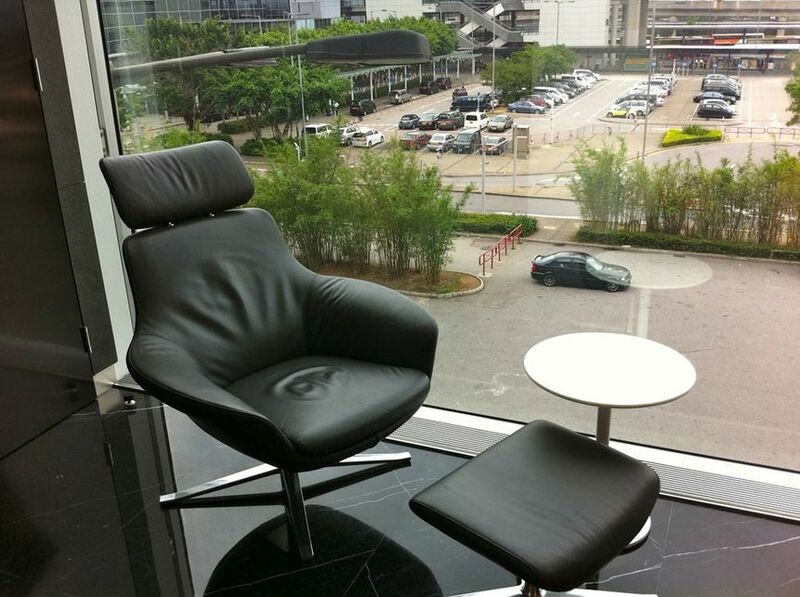 Which lounge did everyone have to use while the wing business lounge was closed? were they shunted off to another oneworld lounge or where did they go? The Cabin was used for CX overflow. Sorry, is the Cabin the equivalent to the international QantasClub? Not really: The Cabin is a massive step up from the Qantas Club. Cathay has several lounges at Hong Kong - The Wing and The Pier (at either ends of HK airport) each have dedicated first and business lounges, while The Cabin is a mixed-use lounge just for business (although of course firsts can use it too, but there is no special area inside The Cabin purely for firsts). How many sqm is the whole lounge? is it the biggest in HK? Where does this lounge sit on the list of worlds biggest lounges? CX says the Balcony level is 1,935 square metres, while the level below is 1,002 square metres. 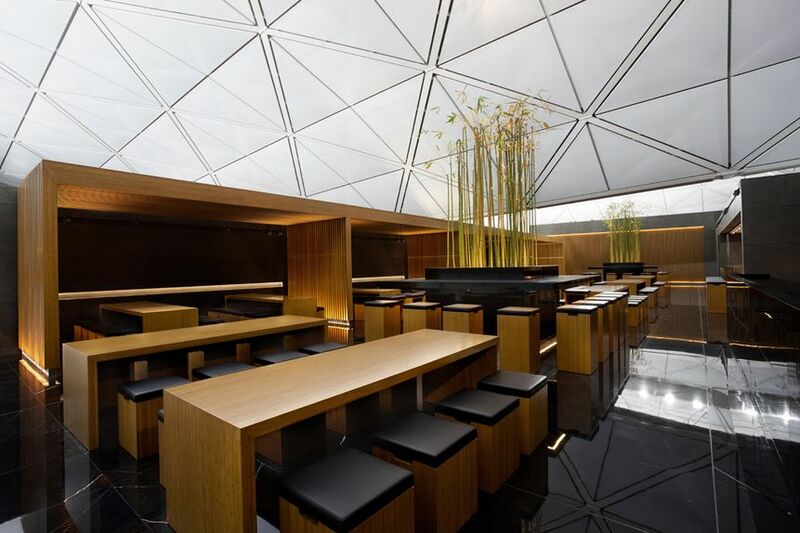 I'd suggest this makes it the largest lounge at HK airport, but I have no idea of where it sits on the list of World's Largest Airport Lounges (although that's a damn good title for a TV show, I bags hosting it!). 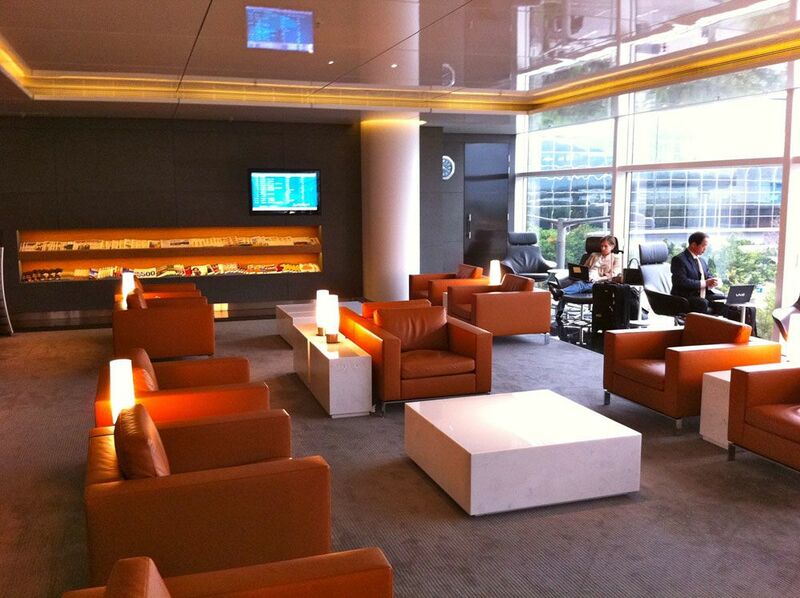 Comment on "Cathay Pacific re-opens Wing Business Lounge at Hong Kong Airport"